Yulia Tymoshenko – a fierce ex-prime-minister of Ukraine, known abroad as a heroine of the Orange Revolution and a "Gas Princess", after the scandal on allegedly being beaten in prison during “forceful transportation” to the hospital finally gets the treatment at the same hospital under observation of the German doctor. 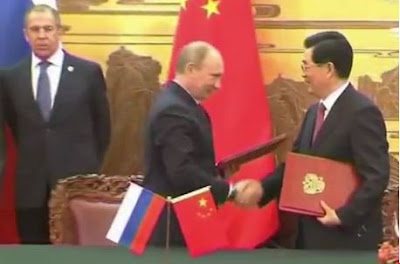 The scandal caused obstruction of Ukraine at the West and still threatens Ukraine with isolation and, as a logical consequence, with joining Putin's “Eurasian Union”, designed as a substitute for the European Union in Russia’s fight for its “sphere of influence”. Without a permanent dialog with the EU there won't be any constrain for Ukraine’s drifting toward the Belarus kind of state, where any elections are meaningless from the start. As the point of no return is not crossed yet, there is still a chance for the objective view on the situation. There are a lot of questions, which need straightforward answers before it is too late. Why Yulia Tymoshenko was imprisoned? 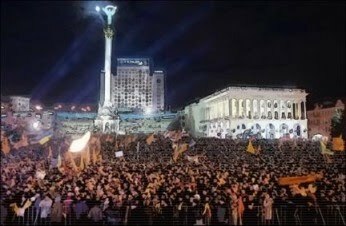 Why Yulia Tymoshenko is not supported by the people of Ukraine - the people, who stayed three weeks during the winter days and nights on the main squire of Kyiv protecting their democratic choice? What happened? 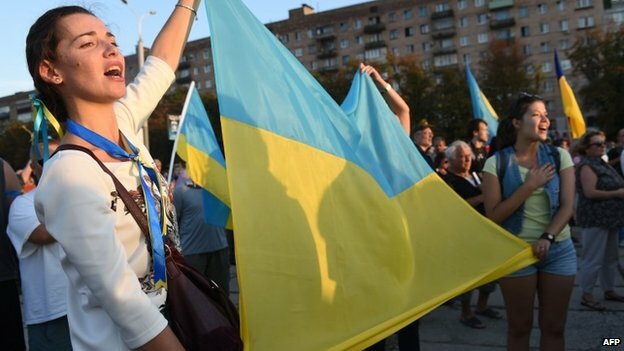 Did Ukrainian people become spoiled, corrupt and indifferent? The answer is simple. Ukrainians know another Tymoshenko and do not perceive her as an “innocent victim”. They see everything happened during last weeks as a "theater of one actor"
They know very well that Tymoshenko is not a weak victim, but an aggressive, rather rude and unscrupulous fighter. Some think that she intentionally provoked her imprisonment in order to get out from obscurity, where she found herself after losing the elections to Yanukovych with just three per cents difference . 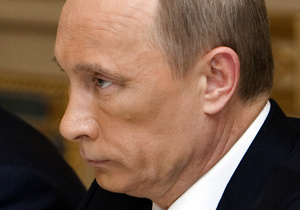 The reason for losing the elections was Tymoshenko's political flirtation with Putin before the elections. 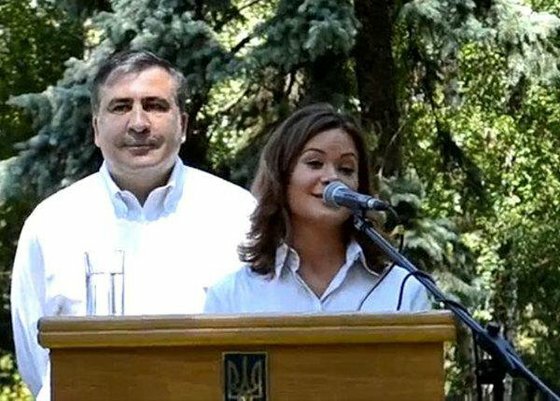 She hired as her consultant the most trusted Putin loyalist in Ukraine - former odious adviser to Kuchma, Victor Medvedchuk. For the Ukrainians, he is an embodiment of everything the worst the Kuchma's regime was. 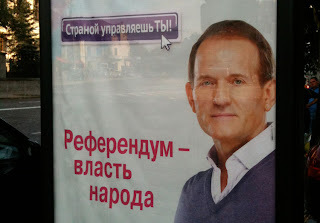 Before the elections, he became a permanently functioning link between Tymoshenko and Putin. A part of the Orange electorate perceived this as a betrayal and didn't support Tymoshenko during elections, voting instead 'against everybody'. This was exactly the percentage, which Tymoshenko needed to beat Yanukovych. Fragile appearance of Tymoshenko is in contradiction with her political style, which some observers perceive as a bullying and political discourtesy. In combination with the permanent dramatic theatricals, her style became repealing for many former Tymoshenko supporters, not to mention her opponents. She is seen as a drama queen, constantly seeking for attention by any possible means. Altogether, this set a stage for a culture of low politics in Ukraine - the meaningless scandals and vulgar style became a norm. There is another peculiarity: Tymoshenko used to attack not a substance of Yanukovych's often-unacceptable actions, but his personal vulerabilities, as a result provoking unnecessary irritation and intensifying his craving for power and control instead of democratisation and reform. This makes her critical attacks counterproductive and any progress for the country impossible. 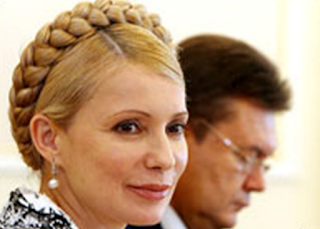 Tymoshenko's egomania made her hardly acceptable for the crumbling opposition forces too. She becomes a dividing, not a uniting force for the country. In fact, Yanukovych just replied to her aggressiveness and attacks on person in attempt to protect his dignity, being a victim of masterful manipulation by Tymoshenko. This explains a lack of logic in her case. In the prison and the hospital, Tymoshenko continues her bulling knowing exactly what Yanukovych's reaction will be. 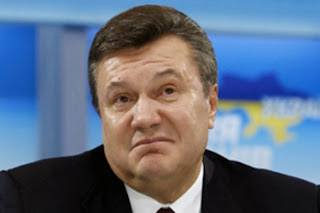 Yanukovych replies with the same bullying, but in a physical form of imprisonment. Some consider that Tymoshenko and her party still prefer that she stay in prison in order to continue getting a huge PR and support from abroad. Every time the situation gets closer to resolution, Tymoshenko comes with another portion of bullying and her imprisonment continues. 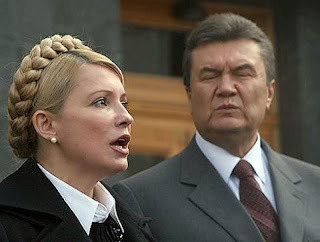 To stop Yanukovych's reactive bullying it is necessary that Tymoshenko adjusts her political style too. For Tymoshenko authorities’ charges came as a rescue from a deadlock situation. They gave Tymoshenko the cause and the stage she craved so much for. She again appeared at the center of attention - a former “heroine” and a victim of unjustly persecution. At the same time Tymoshenko was sure that she will never be convicted and forced the situation to the maximum in order to get as much as possible political capital from it. She overdid herself demonstrating disrespect toward the court. It seems that the reason of such behaviour is her previous experience. It was shocking for me to hear her in 2006 telling the group of the foreign diplomats, that the Ukrainian courts are corrupt and the proof is that she “personally has bought 24 decisions of the Ukrainian courts during her business career”. Tymoshnko's luxury life-style didn't differ significantly from much criticized Yanukovych's style. Even now Ukrainians name her 'over-pampered gas princess'. Many see her fight with Yanukovych as an oligarchic infighting, which has nothing to do with the people's problems. Despite the huge outside support Yulia Tymoshenko is hardly supported inside. The Ukrainians not only do not go out to the street to protest against Tymoshenko’s imprisonment. They even don't bother to press "like" for Tymoshenko's Freedom for Iulia Tymoshenko facebook group, which has 2 097 supporters. 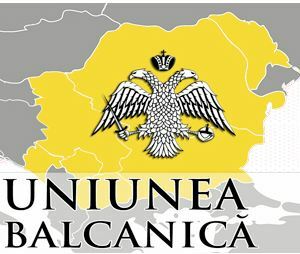 Another Group for Tymoshenko support, managed by her Party, has 21 300 likes. How the EU can help Ukraine and itself? Supporting Yulia Tymoshenko the EU should let understand Tymoshenko that she must stop civil war rhetoric and attacks on person as this does not mix with the European political culture. 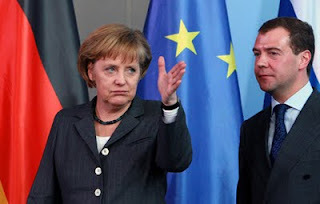 If she will manage to formulate her criticism in a polite way and behave lady like as she deals with the foreigners, the political process will have a chance to get back to normal in Ukraine. In such case, a political debate on the essence of existing problems will become possible and a way to resolve the crisis will be found. Otherwise the EU's support of Tymoshenko is counterproductive for Ukraine and its future. In such situation, Tymoshenko's empty pro-European slogans will lead Ukraine to isolation ending with reunification with Russia. Exaggerated pressure on only one side (often ill informed and based on propaganda from outside) is damaging for the political process in Ukraine. Russia uses all means at her disposal to support the state of civil war inside of Ukraine and to propagate it at the West. The means include lobbyists and PR-companies, mass media, experts, individual journalists and myriads of sites and blogs, created on the Russian money. Who needs a physical war if all goals are achievable by the means of a psychological war? The psychological warfare is different from a conventional warfare aimed at the physical suppression of the enemy. Its essence is the impact on the public consciousness in such way as to control the people and force them to act against their interests. This can be regarded as a certain analog of a viral disease. Thus, the virus is infiltrated into the cell, responsible for the control of the DNA molecule processes. The cell apparently remains the same as it was, and even the processes in it are of the same type, but from now the virus runs the cell. The disease goes through three phases: introduction, release of toxins and death of the cell. In the psychological warfare without the introduction of an analogue of the virus into the system of the enemy, we cannot expect any significant results. Creating and fomenting controversy there is the main mechanism of the action of the ideological virus. This allows you to use many people "blindly ", when they struggling with a competitor, in fact perform the tasks of the fifth column. Moreover, there is a rule - the maximum use of straw men. In this case is the role of the virus controlled from the outside and preformed by the "fifth column" inside the country. It is necessary to infiltrate the virus to control the public opinion, the ideological sphere - the same way as the virus within the DNA controls it. The representatives of the fifth column should be indistinguishable from the rest - they are there and nowhere. There is another analogy. A viral disease has a hidden latent period, but after it comes to the acute phase - the body goes into an excited unstable state. And exactly during this period there is the probability of the death of the body. In addition to the introduction of our people in the ideological sphere and the power structure, you need to identify and promote fools, careerists, resentful of authority, and create conditions for the promotion of the deadlock ideological currents supporting their bearers. This strategy in combination with unlimited petrodollars in disposal is very effective not only in Ukraine, but in Greece and other "weak links" of the EU, collapse of which Putin's Russia sees as its main historical opportunity.